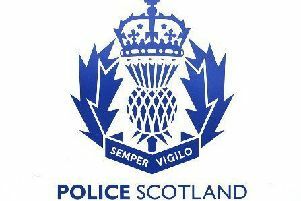 Police Scotland is urging people to be vigilant and to follow simple security measures following a number of sneak-in thefts to vehicles and homes in the Cults and Peterculter areas. The incidents are believed to have taken place in the early hours of Tuesday March 24. Two cars were stolen from the Culter Den area in Peterculter, one of which, a grey Landrover Freelander, was recovered by police today (Wednesday March 25) in the Hazlehead Place area of Aberdeen. However a silver Volvo XC 90 registration number K44 SAK is still outstanding and police are appealing for information to trace the vehicle. Several electrical and personal items, valued at a low four figure sum, were stolen from unsecure vehicles and homes in the Cairnlee Avenue East area of Cults and the Millside area of Peterculter. Police Sergeant Craig Mewha said: “We are investigating a number of sneak-in thefts in the Peterculter and Cults areas that are believed to have happened during the early hours of Tuesday March 24 and are urging people to follow simple security advice to avoid becoming the victim of opportunistic thieves. Anyone with information is asked to contact Police Scotland on 101 or call Crimestoppers on 0800 555 111 if they wish to remain anonymous.